Race shoes cost several hundred dollars, the last thing I want to do is wear them out grinding through miles in my basement dungeon. They’re also made for riding outdoors, without air flowing over them at 20mph they just are not breathable enough for a good indoor sweat session. 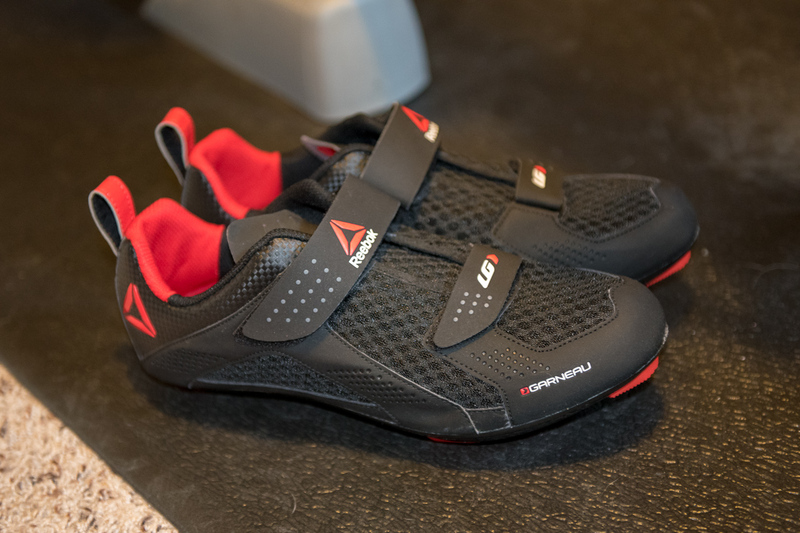 Louis Garneau in collaboration with Reebok aims to solve both problems with its affordable and extremely breathable Actifly shoes. Aesthetics aren’t really important here, but I give Louis Garneau props here for keeping it simple. The shoes are matte black with a few red highlights and fairly tame branding. When you’re riding in the basement, aesthetic aren’t a big deal. If you’re hitting the gym for spin class, the simple look is definitely a win. As for fit, they’re comfortable. Don’t expect a Boa snug fit though. They don’t hug every inch of your foot the way high-end racing shoes do, but they’re more than adequate for training. 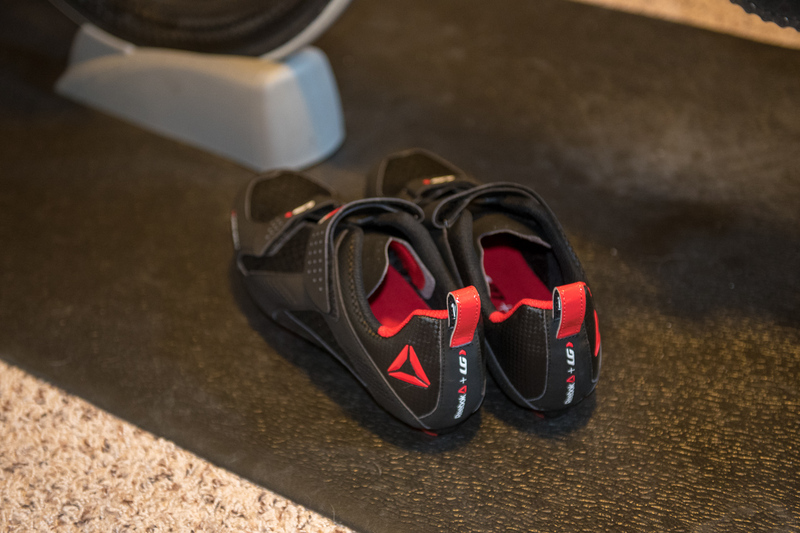 The Actifly shoe relies on two Velcro straps to secure your foot and they get the job done simply and quickly. My one complaint when it comes to fit is the toe box. It’s big. If you’ve got narrower feet, you’ll likely find your toes wandering a bit. Sizing down a half size and using the front Velcro strap to its fullest locked down my toe movement without issue. 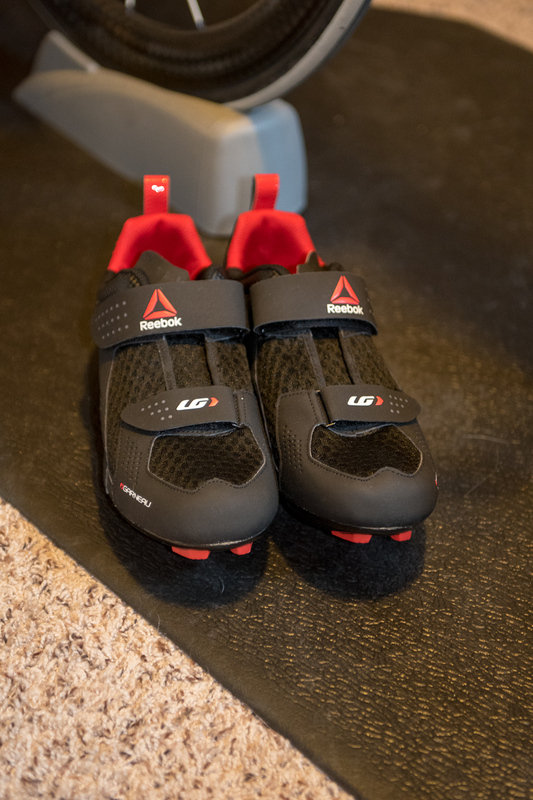 In their attempt to create an airy shoe that keeps your feet cool during Zwift sessions, Reebok and Louis Garneau have succeeded. 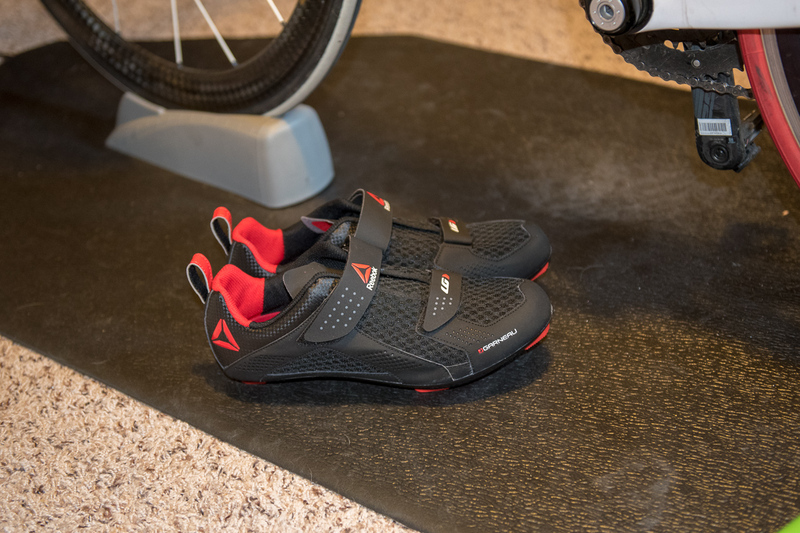 The Actifly shoes feel much cooler on the bike and dry quickly between training sessions. Now, whether or not cool feet make a world of difference to you when riding in the basement is up to you. My feet tend to drive me nuts when they’re overheated. 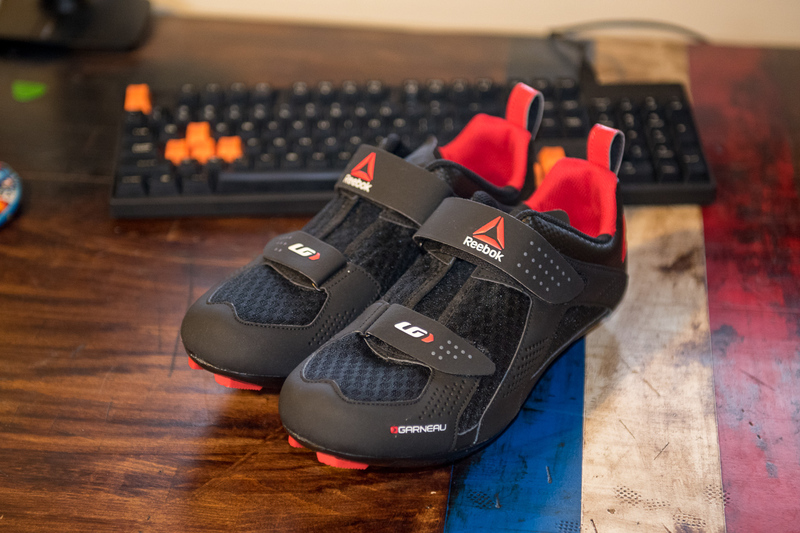 The Actifly incorporates a lot more venting in the upper compared to a normal cycling shoe to make up for the lack of airflow. There are also air channels in the outsole. All of this venting does come at the expense of stiffness. The composite outsole flexes a lot more than my race shoe, it definitely shows up during hard sprints. 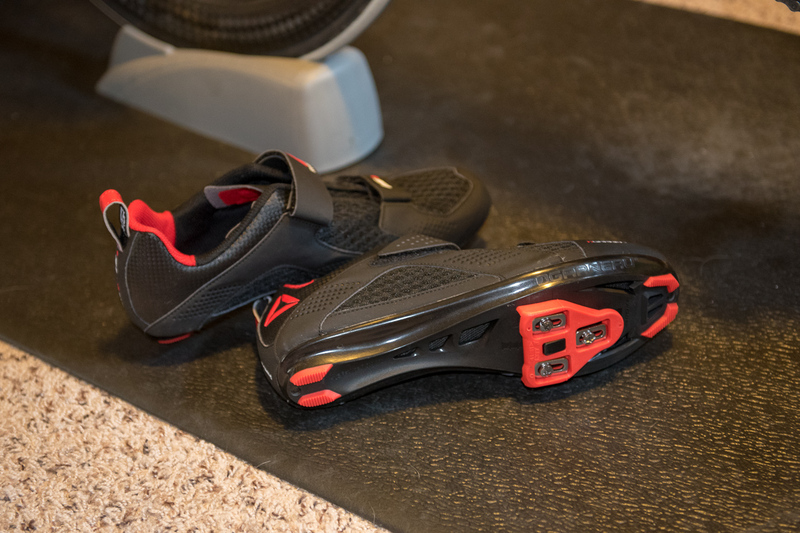 From an economic standpoint, the Actifly shoe makes a lot of sense. If you spend a lot of time training indoors, for $109 you can give your much more expensive race shoes a longer life.